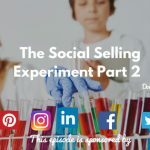 If you don’t already make social selling a part of your day, you should. The millennial generation has connected everyone on social media. Using those platforms to sell should be a natural progression for all sales professionals. Today on The Sales Evangelist, we’re talking with Dale Dupree, the Copier Warrior, about using LinkedIn as part of your sales process. Your social media pages are your own personal web pages. Your goal is to make sure that people who visit your page can tell what you’re all about. Make sure they can accomplish the things you want them to accomplish when they get there. Spark interest for your connections. Create something of value. If you can create undeniable curiosity, you’ll fly through the sales process in ways you never have before. Dale recalled a customer who walked away from a 20-year relationship with another company to do business with him. The customer told him that no one had ever created the kind of curiosity that he had. No one had ever made the sales process enjoyable like he did. When you first reach out to someone on social media, they’ll likely visit your profile and decide whether to connect with you. If the very first thing you do after connecting is pitch them, you will have blown an opportunity. It won’t matter that you have a cool product that no one has ever heard of because you will have blown your chance to connect. Pitching them should never be the very first contact you make. You’ve built no credibility. Social media is purely an outreach piece. 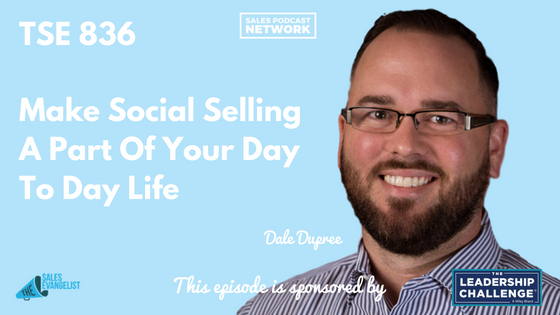 Dale did the same thing with his LinkedIn community that he does with his in-person sales community. He created content that motivated people to interact with him. He went local with his outreach and targeted people around him the same way he would with traditional prospecting efforts. 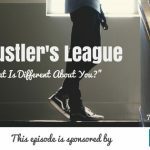 His social media platforms allowed his connections to view his bio and his work history, and learn more about him and his business. He posted regularly about the connections he was making with people to promote the idea of fellowship. Don’t neglect the less-obvious employees in any company either. Rather than simply connecting with the decision makers, connect with the people they work with as well. People love a good story, so articulate yours well. Tell them how you got where you are. Ask them to share their stories. It creates interest, and it encourages people to get to know one another. Salespeople are the enemy because there are a million of them, and you’re just one more in the crowd. Your prospect already has plenty of them. Make people smile. Have fun. Get familiar with the people on social media. Make social selling a part of your day. You can connect with Dale at CopierWarrior.com. You can also find him on LinkedIn and other social media platforms as well.